1 – Membership: : Join Le Comptoir Du Bois and access exclusive customer content. 1. Click on a region. Later in this section the total price will include the cost of transportation to the region. Prices shown are excluding VAT and include transportation: CIP, ie to the region of your choice. 2. 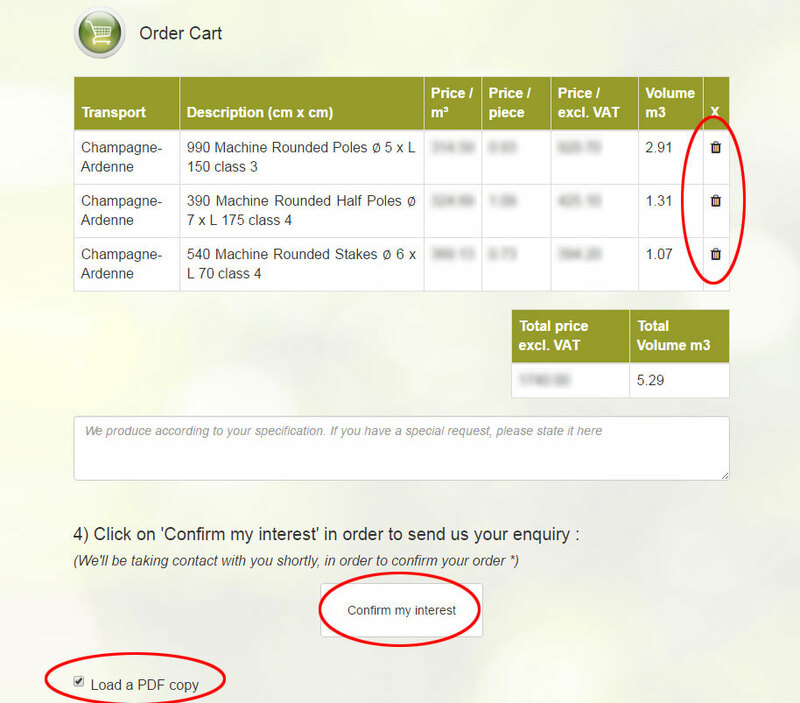 Select a product and its characteristics in different drop-down menus that appear in succession at the bottom left of your screen. 3. The price will be displayed by cubic meter, pieces and current meter. 4. Specify the number of pieces that you wish to buy. 5. 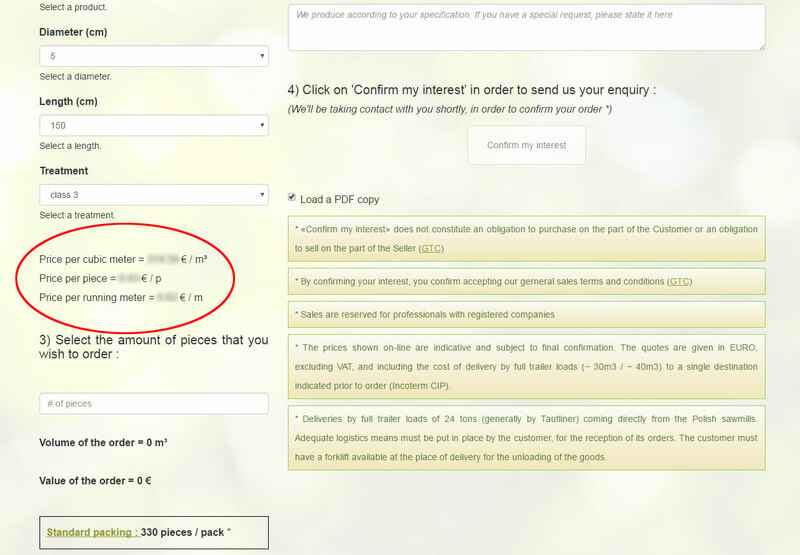 The value and volume of your order line are displayed. 6. Click on “Add to my Cart” to save your request. 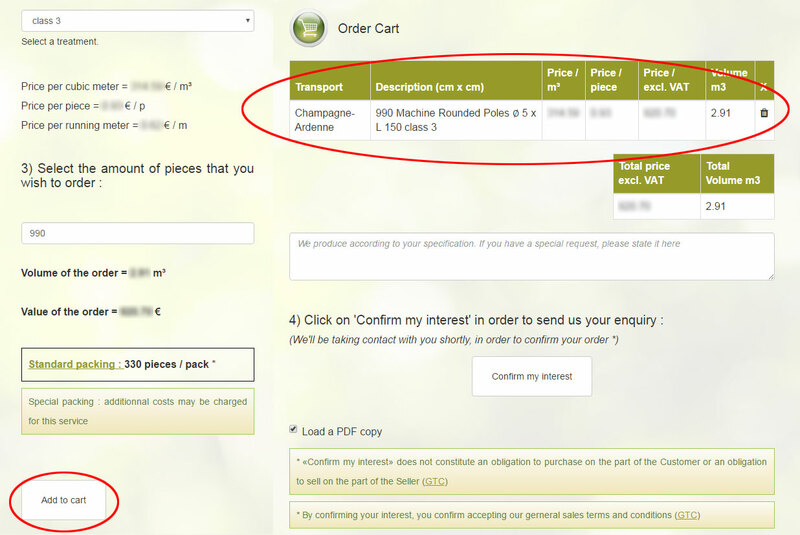 It will then appear on the right of your screen in a table summarizing the details of your “request”. 7. 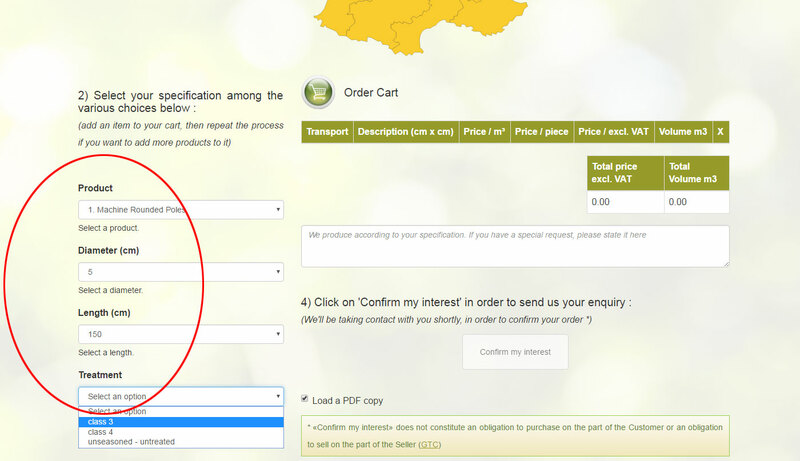 Add another product request by repeating Step 1 : Select a product and its characteristics, specify the number of units you wish to buy, and finally click “Add to my Cart”. This process can be repeated as many times as you wish. 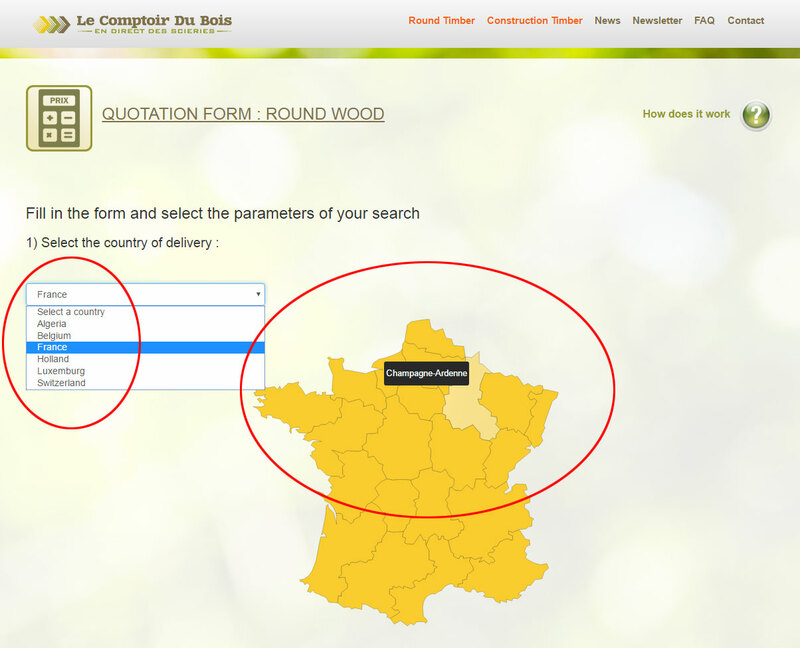 One should select the delivery region only once (there may only be a single point of delivery for each request). 8. Review the summary table of your application. 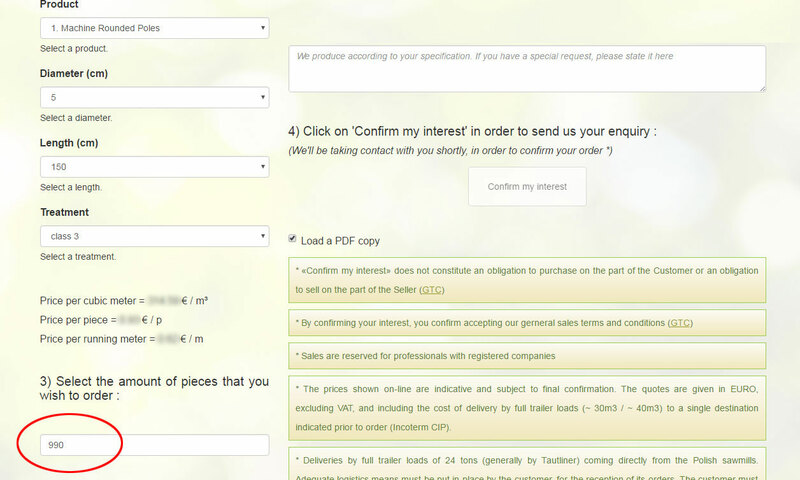 Click on “Confirm your request” to send your request to us. Our teams will then contact you as soon as possible for the purpose of confirming your potential order. You can delete a request line by clicking the small basket on the right side of that line. 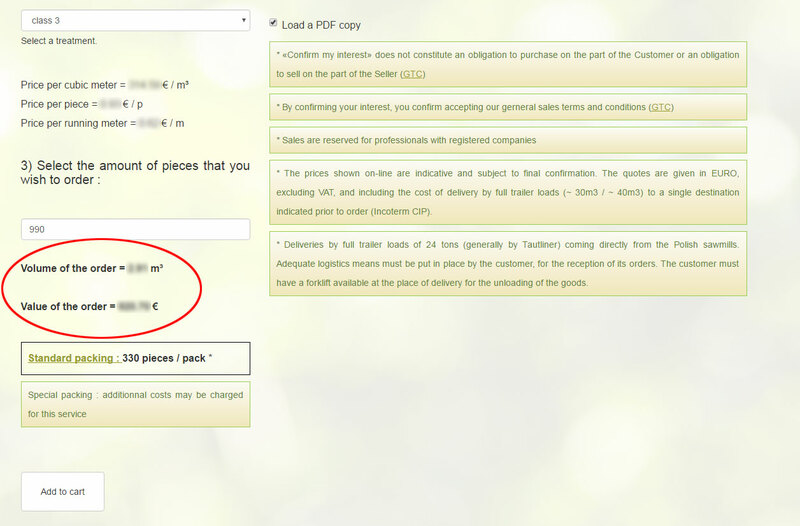 Check “Generate PDF” to keep a copy of your request.Sending us a “request” does not constitute an obligation to purchase, or an obligation of sale. Only an “offer” confirmed by a contract requires the obligation to purchase or an obligation of sale.Note that the price that you are given are indicative and orders areonly valid for full truckloads (total volume of the order of 28 to 32 m3).